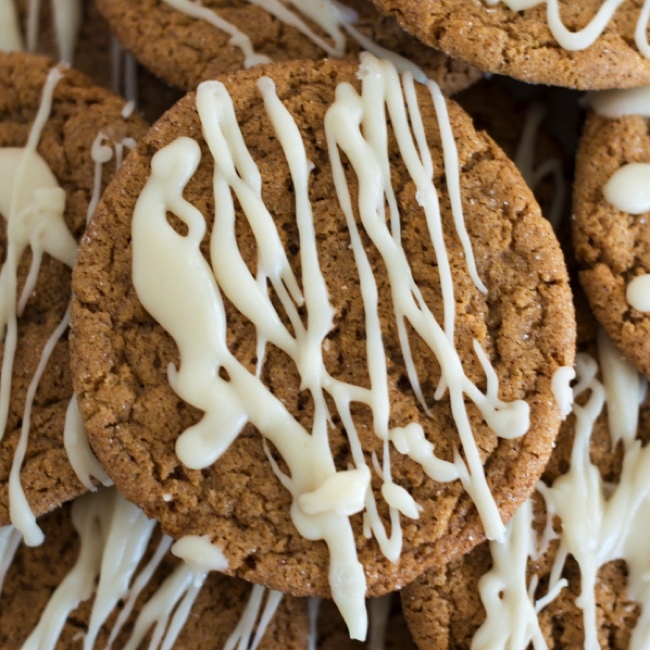 Gingerbread meets snickerdoodles in this tasty holiday cookie. 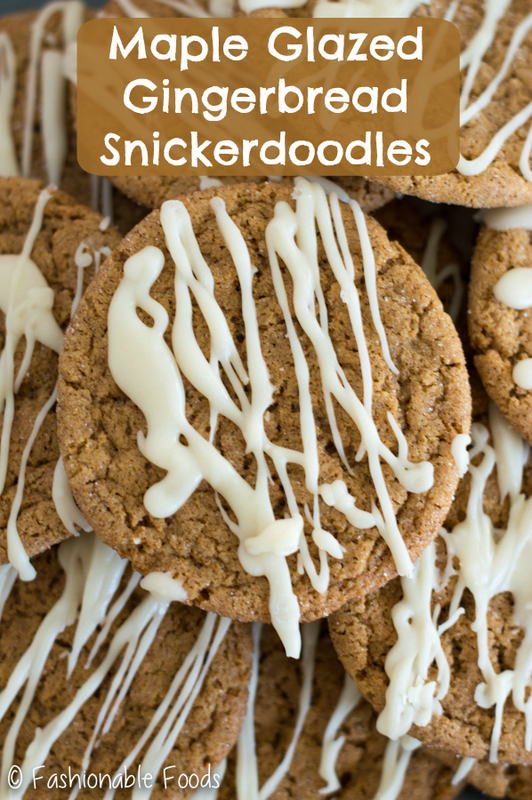 Maple glazed gingerbread snickerdoodles are chewy and sweet with just enough spice…making them perfect for dunking in a cup of coffee! We have officially entered the holiday season… aka my favorite time of year. Who doesn’t love this time of year, though?! It’s hard not to get into the spirit with holiday movies and music playing everywhere, festive decor in stores, and sweet treats galore. 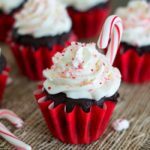 Speaking of sweet treats, I’ve got a doozy for you today! 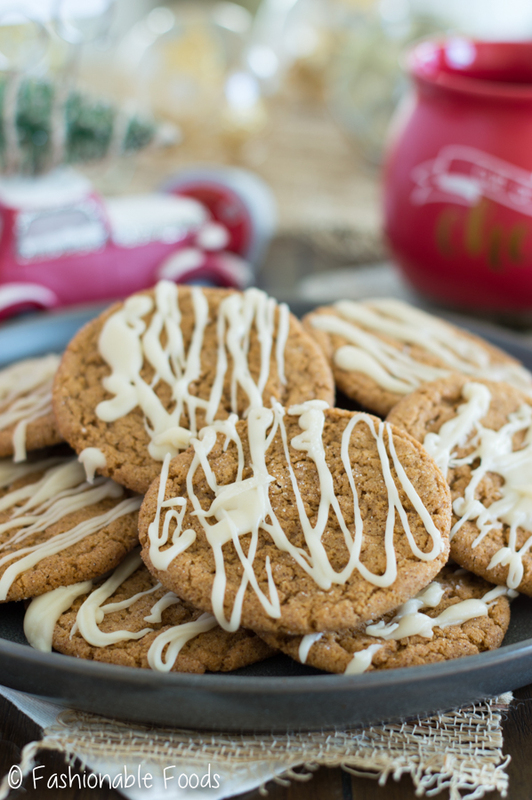 Maple glazed gingerbread snickerdoodles are THE epitome of the holiday season, making them absolutely perfect for munching on while trimming the tree! Decorating the tree is always a big deal in my house. First, we gotta go out to the local farm to pick out the tree (yes, it’s gotta be real!). Then we have to set it up, gather all the lights and ornaments, and get ready to decorate! Of course, there’s gotta be coffee and cookies to really add something special to the festivities. 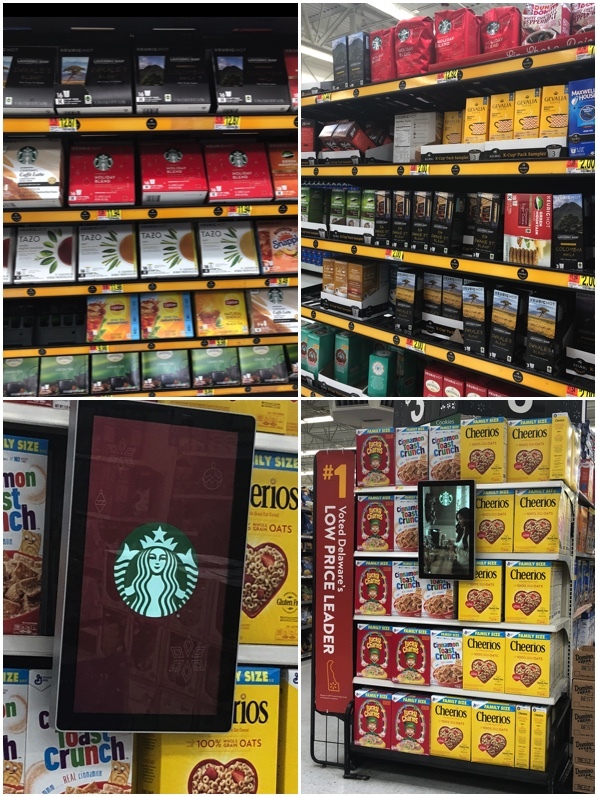 While at Walmart, I made sure to grab a few boxes of the Starbucks® Holiday Blend K-Cup® Packs 16 ct to have on hand throughout the season. Walmart has definitely got you covered when it comes to the holiday season! From everything you need to decorate your tree, to everything you need to make these cookies and set up a coffee bar! I look forward to the holiday blend all year long.! Not only is it a great way to start your day (my favorite! 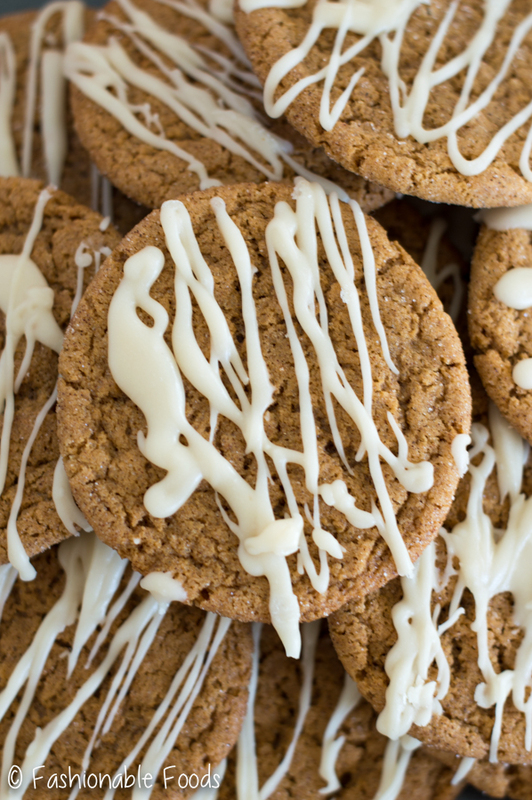 ), but it’s perfect for pairing with these gingerbread snickerdoodles! I like to make a batch (or 2!) of the cookies and keep them in the freezer. That way, I can just slice what I need, pop ’em into the oven on tree decorating day and the house fills up with the delicious scent of cinnamon and ginger. 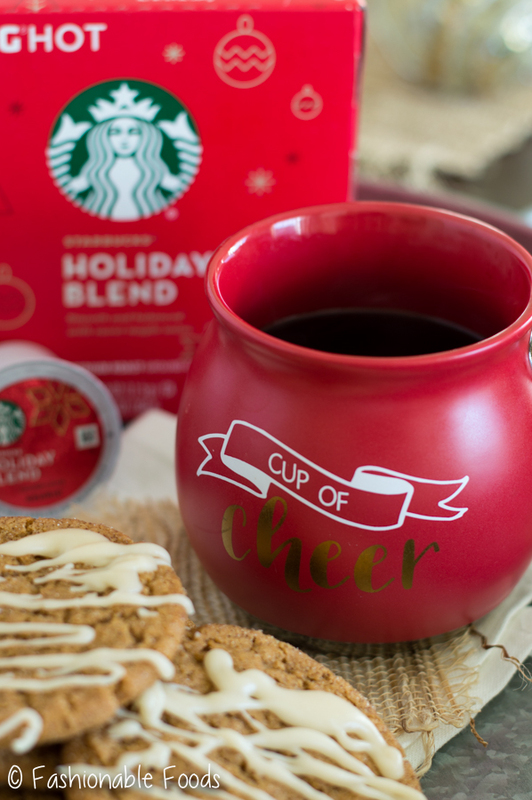 To go along with the cookies, I like to set up a coffee bar with festive mugs, plenty of Starbucks® Holiday Blend K-Cups®, mix-ins, and toppings. 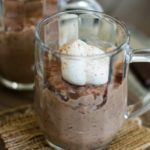 You can use whatever you like – cream, sugar, cocoa powder, whipped cream, caramel sauce (? ), cinnamon, candy canes, etc. The possibilities are endless! Once we’ve got maple glazed gingerbread snickerdoodles and the coffee bar set up, we can get to decorating the tree! Grab your cup of Starbucks® coffee, a cookie, and some ornaments and make your tree beautiful. Of course, what makes tree decorating day extra special is family. Some of my best childhood memories involve trimming the tree. 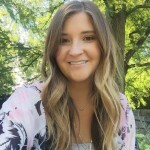 I remember walking through the tree field trying to find the perfect tree… and always wanting one that was enormous and would never fit in the house! You know how that goes, they always look so small outside and then you get it inside and it’s huge. I also remember putting every ornament in one spot on the tree and my mom going behind me rearranging them. I now do the same thing to my husband. ? He always gets so mad that I move all of his ornaments! The best part of the holiday season is spending time with family and friends. 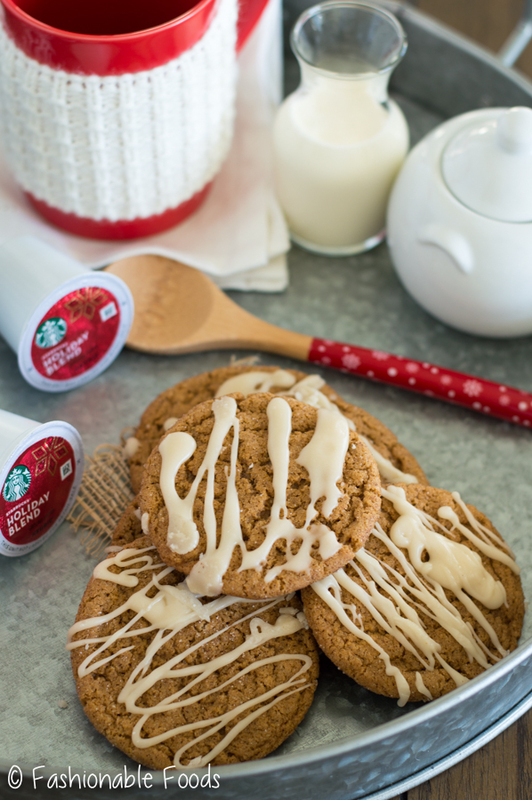 Whether it’s trimming the tree, catching up with a friend, or curling up to watch a movie.. you’ll want to have plenty of maple glazed gingerbread snickerdoodles and Starbucks® coffee to share! 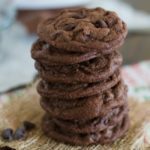 It’s the perfect cozy pairing and the cookies are perfectly sweet with a hint of spice, and super chewy! I love soft and chewy cookies and these are just that. You won’t be able to eat just one! Now, head over to Walmart and grab everything you need to celebrate this holiday season! 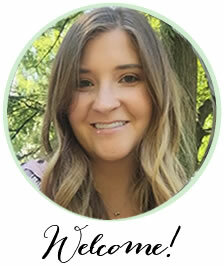 And, if you purchase three (3) qualifying Starbucks®packaged coffee (10-20oz. ), Starbucks® K-Cup® packs (9-32ct. ), VIA® Instant (5-8ct. ), Starbucks® Syrups (12.17oz. ), or Starbucks® Cookie Straw packs (9.17oz.) products in a single transaction at Walmart stores from 11/1/17 through 12/26/17, you’ll receive 75 bonus stars when you upload your receipt at Starbucks-stars.com! Be sure to check out this site for more information on your favorite Starbucks® holiday flavors! Combine the flour, xanthan gum (if using), cream of tartar, baking soda, salt, ginger, cinnamon, and allspice in a medium bowl. Set aside. In a large bowl, stir together the butter, brown sugar, granulated sugar, and molasses. Stir in the egg and vanilla extract. Add the dry ingredients to the wet and gently mix until combined. The dough will be soft and slightly sticky, but won’t stick to your hands. Divide the dough between two sheets of plastic wrap or parchment and shape into logs. Wrap them completely and place on a plate or baking sheet and pop them into the freezer for 30 minutes. After 30 minutes, check on the dough and reshape into logs (they will mold better than when they were at room temp!). Place the dough back into the freezer for another 30 minutes. In a small bowl, combine the sugar with the cinnamon and ginger. 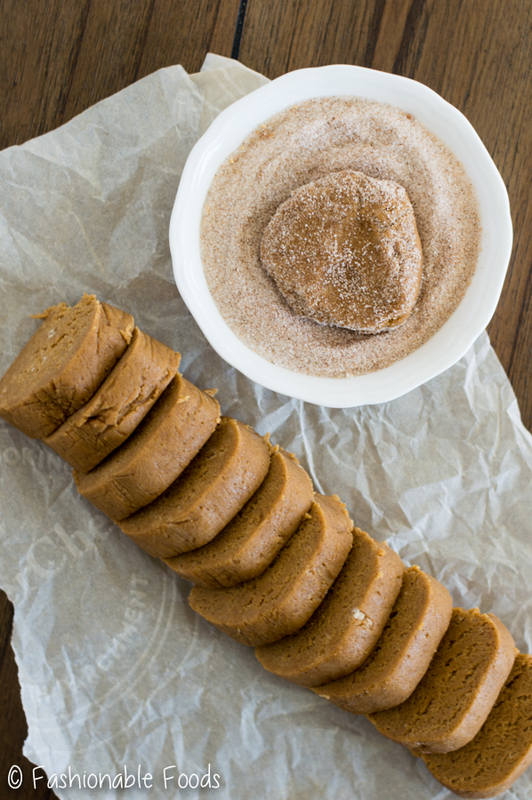 Remove a log of dough from the freezer and unwrap. Slice into about ½ -inch thick slices and generously coat each slice in the sugar-spice mixture. Lay the cookies on a parchment or silpat covered cookie sheet, leaving about 2 inches of space between cookies. Bake the cookies for 8-10 minutes, or until they spread and crackle and the edges are set. Allow them to cool for 10-15 minutes on the baking sheet before transferring to a cooling rack. Keep dough in the freezer while each batch is baking and only take out what you need to bake. You can keep the dough frozen and just slice a few cookies when the craving strikes! Make the glaze by melting the butter in a small pot. Once it’s melted remove the pot from the heat and stir in the powdered sugar, vanilla, and maple syrup until smooth. If it’s thick, add a few drops of water or milk until you have a drizzling consistency. Drizzle the cookies with the glaze (it will harden very quickly on the cookies). If the glaze gets too thick, just reheat and add water to bring it back to drizzling consistency. *If you don't need these gluten-free, simply swap the gluten-free flour for AP flour and omit the xanthan gum. I always recommend using weight to make an even swap as gluten-free flour weighs more than regular flour. If you don't have a scale, use 3 cups of all purpose flour in place of the 2 ¾ cups. I haven't made them with regular flour, so I can't guarantee they will turn out perfectly. *This recipe makes around 3 dozen cookies, but this well depend on how thick you cut the cookies! I love this time of the year, the smell, the sounds, the feelings, all of it fills my heart with joy. I love snickerdoodles and I know your special maple glaze would blow my mind. Thanks for the recipe Keri. Hi do you know if you can make these delicious sounding cookies with a ground flax and water mix as an egg substitute? Hi Debbie, I’ve never tried it, but I don’t see why it wouldn’t work. I definitely think it’s worth a shot!